My doggo, Winston, is, without a doubt, an integral member of our little family. He has been with me and my husband since before we had kids and in a lot of ways, he’s a fixture I just can’t imagine not being in our home every single day. But, I recently had a tipping point where I realized that he needs a little something extra, a little more than I had been giving him, to keep him around in our lives for a few more years. Y’all, I hit up PetSmart and found some Purina® Pro Plan® Savor® to help me in my effort to Help My Older Dog Be Happy. Interested in picking up some Purina® Pro Plan® Savor® for your dog from PetSmart? Just click on the pic below! I can’t believe it took me so long to see that my doggo needed extra support and help as he was transitioning to “older dog” stage of life. What really was the tipping point for us was the day that Winston didn’t even want to come down the stairs to hang out with me and my daughters before school–a ritual he’d assumed since FOREVER. And, I’m the world’s biggest chicken, so I made my husband come home and take Winston to the vet. Yep. I’m that big of a wuss. Long story short, Winston was just fine. There was absolutely nothing wrong–he was just slow that day. Sharing that story sounds sad, but it really was the tipping point in me saying “he needs more”. So, I started doing some research into what we’re doing for our doggo. 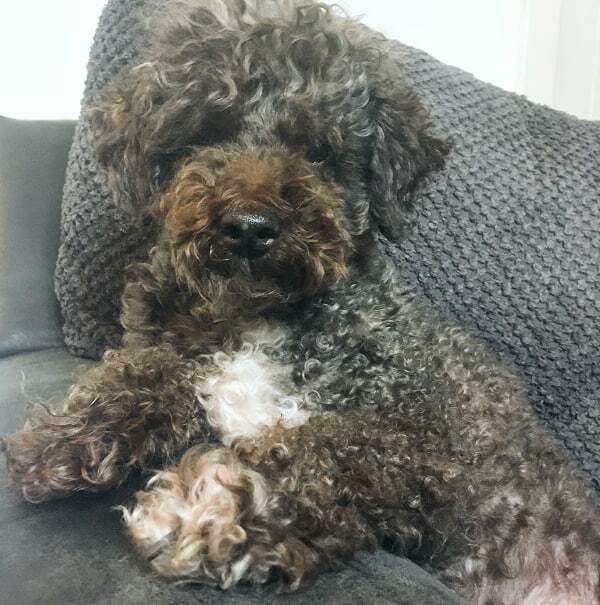 Things I found to How to Help my Older Dog Be Happy? Light, but frequent exercise (yes, that helps with energy, apparently). Better food choices (something made to help a doggo that’s older…hmmm…). More vet visits (to stay on top of things). Less up-and-down-the stairs (for those older joints). After I made some adjustments to my mindset to start carrying Winston up and down the stairs and making some follow-up vet appointments, I decided to hit up PetSmart. 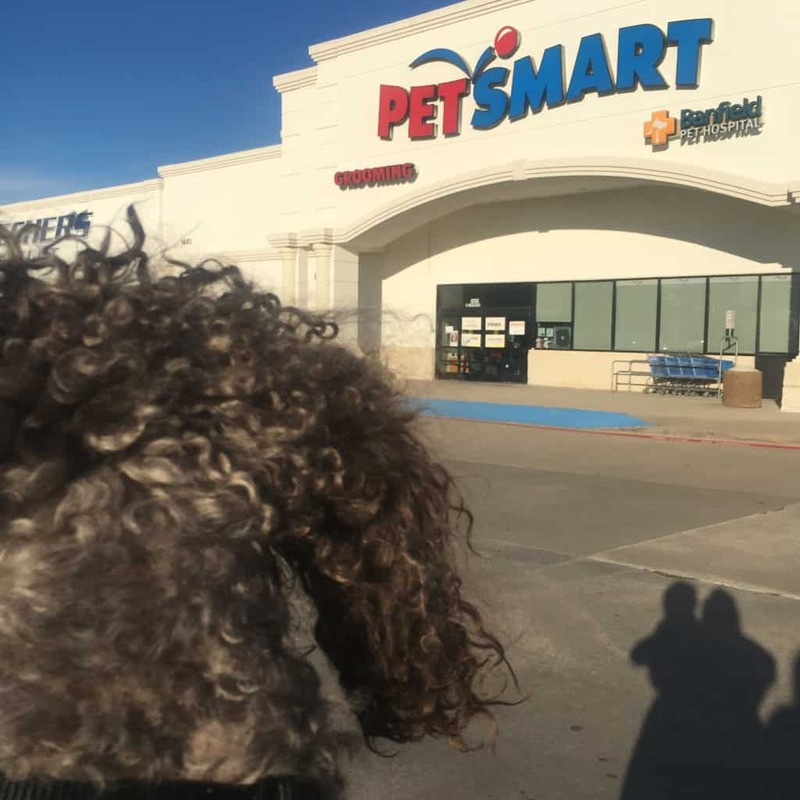 We’ve relied on them for years to share the best products for Winston and, well, he loves a little trip to PetSmart–it’s kind of his thing. 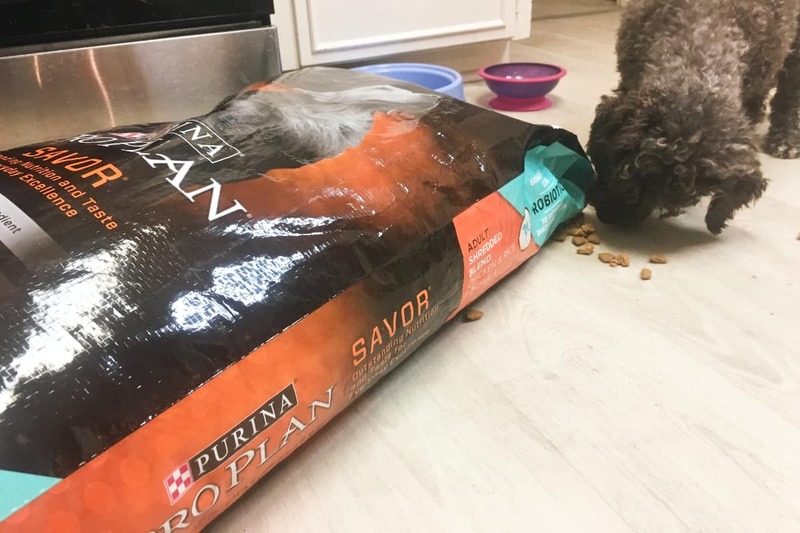 After learning about what might better support an older dog’s digestive and immune system, we decided to step-up our game for Winston by getting him Purina® Pro Plan® Savor® Shredded Adult Dog Food – Chicken & Rice Flavor. 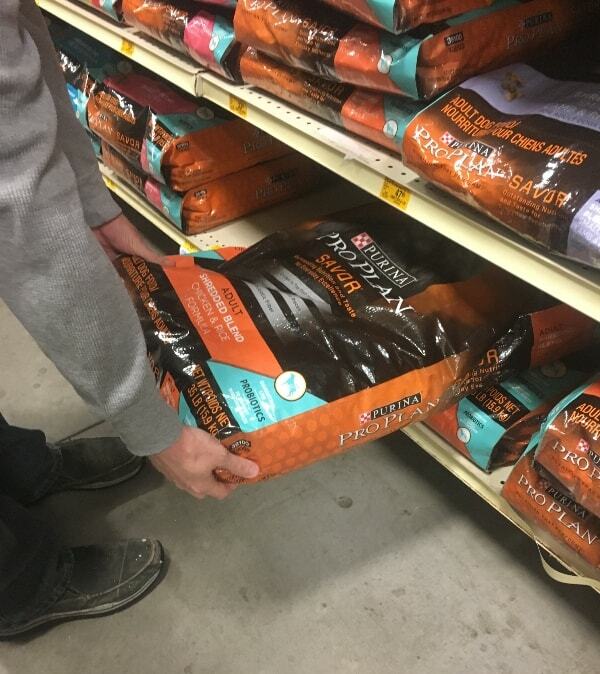 Not only does Purina® have more than 70 formulas that deliver advanced nutrition and great taste (you can tell because Winston NEVER turns his nose up to a bowl of Purina®), but Purina® is the 1st dry dog food brand with real meat as the #1 ingredient. And it’s the #1 ingredient. Oh, and this goodness comes with a $10 offer…sooo, seriously, check out the link here to learn more about the $10 offer and Purina® Pro Plan® Savor® products. But, why did we pick Purina® Pro Plan® Savor® Shredded Adult Dog Food – Chicken & Rice Flavor instead of one of those other 70+ flavors? Well, first, Winston loves a good chicken and rice–it’s his favorite. But, beyond that, Purina® has 14 dry formulas with REAL live probiotics (guaranteed) that help to support a dog’s digestive health. Just in case you don’t know why that’s important, probiotics are live microorganisms that have a health benefit, when consumed in adequate amounts by pets. That means that Winston is getting a little boost of better living with every bite. 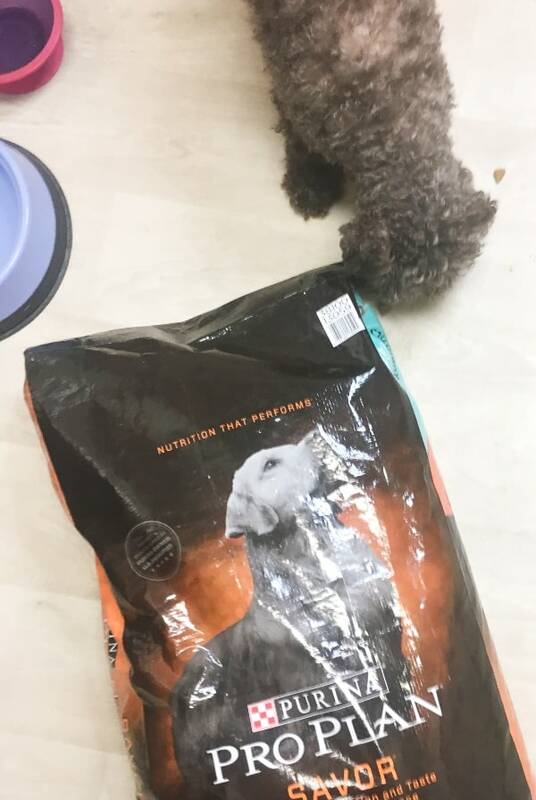 And, because these probiotics help balance the levels of bacteria in Winston’s intestines, he’s got an easier time enjoying a meal–and thus better days all around. If you’d like more details, be sure to visit this link here to learn more. And, if you want, buy Purina® Pro Plan® Savor® Dry, and Get $10 Back in the form of a digital prepaid card. The offer linked here begins on 1/20/19 and runs through 2/28/19.